At Ocean Modules, quality awareness permeates everything we do. The ISO 9001:2015 is based on a number of quality management principles including a strong customer focus, the motivation and implication of top management, the process approach and continual improvement. High-resolution printable ISO 9001:2015 Certificate. All certificates issued by DNV GL are protected by the DNV GL blockchain application. A QR code scanner may be used to check the validity of the Ocean Modules certificates. High-resolution printable ISO 14001:2015 Certificate. Ocean Modules is a fully-owned subsidiary of Tapiren Survey System AB. Tapiren Survey System AB has achieved UC Gold accreditation, the highest possible credit worthiness rating awarded by UC, Sweden’s leading business and credit reference agency. The status of UC Gold guarantees that Ocean Modules Sweden AB is a stable, reliable partner with which to do business. Ocean Modules Sweden AB is, through its mother company Tapiren Survey System AB, part of the privately owned K-Svets Company Group of with a combined yearly turnover exceeding 150 million US dollars. As part of the IBR Concept, Ocean Modules collects most of its suppliers of electronic, electrical, mechanical, software and production capabilities under a single 40000 square meter roof. Ocean Q is a unique quality management system designed entirely in-house to cater to the specific needs of Ocean Modules. 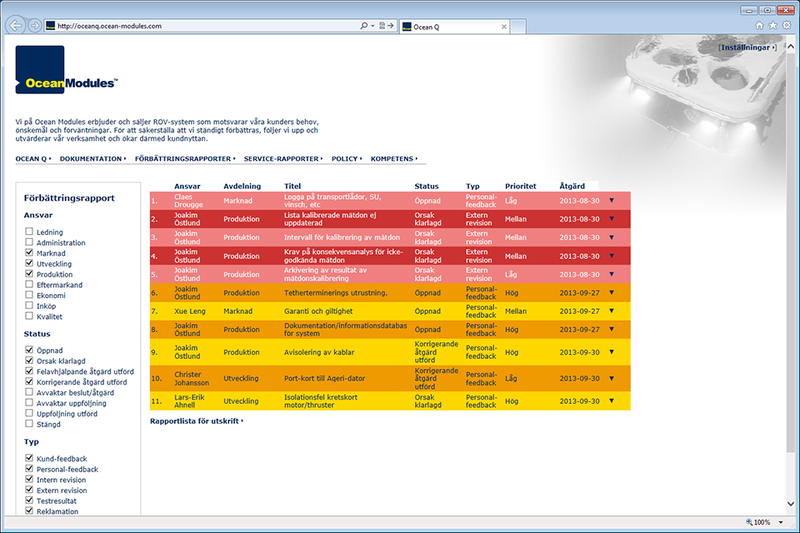 All comments, suggestions, test results and risk assessments collected by customers, employees and auditors are logged in an easily managed interface, guaranteeing that no issue ever fall between chairs. All documentation in the form of process descriptions, routines and work instructions are available to all employees at their workstations, ensuring that the most recent version of the document is always used. 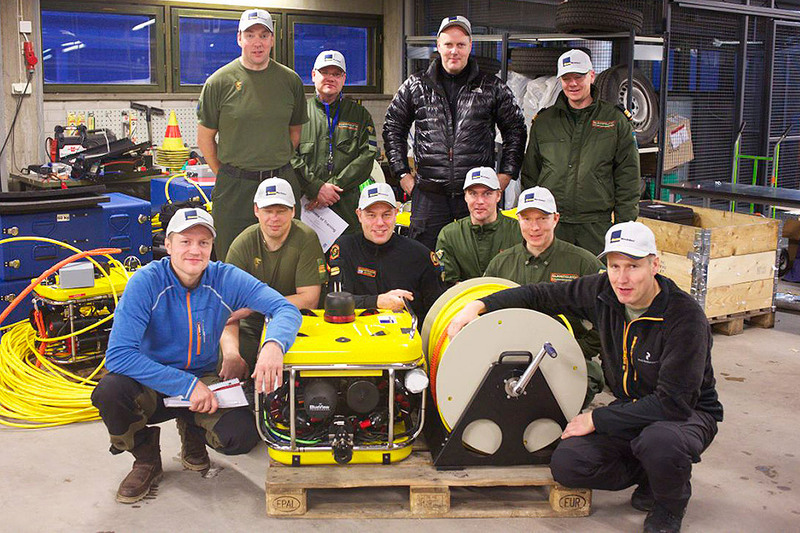 A ROV system is never better than the staff charged with operation and maintenance. 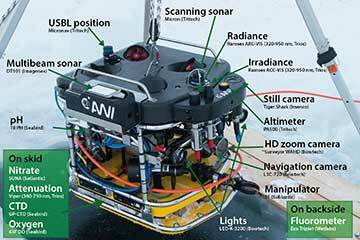 Each Ocean Modules ROV system is delivered with a comprehensive training program. 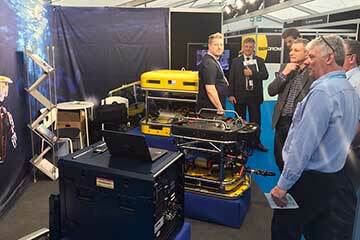 Operators of Ocean Modules ROV systems are among the most well-trained, capable and confident personnel available. 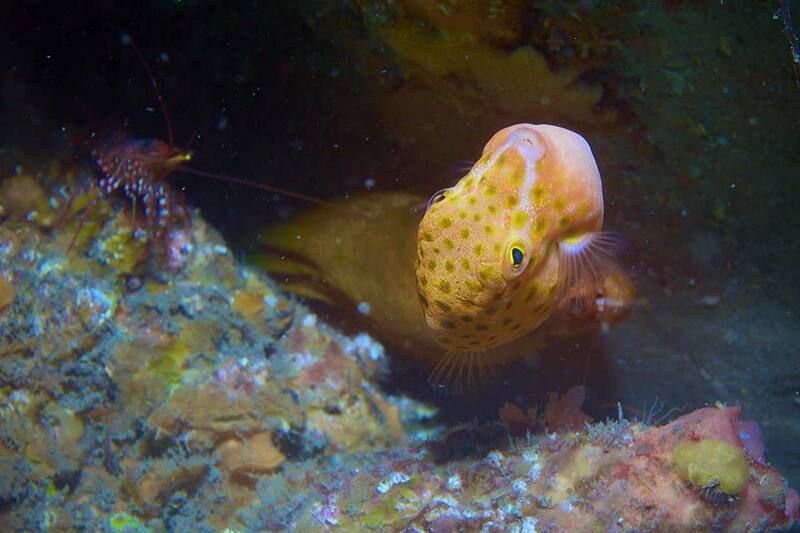 Ocean Modules products are used to observe and document sensitive eco-systems all over the globe, from the Antarctic and the North Pole to the Great Barrier Reef. Ocean Modules takes every possible precaution to only use food-grade oils, lubricants and materials whenever possible, to minimize the effect of spills or risk of contamination. Ocean Modules has undertaken life-cycle analysis of all products ensuring that they are also highly recyclable. 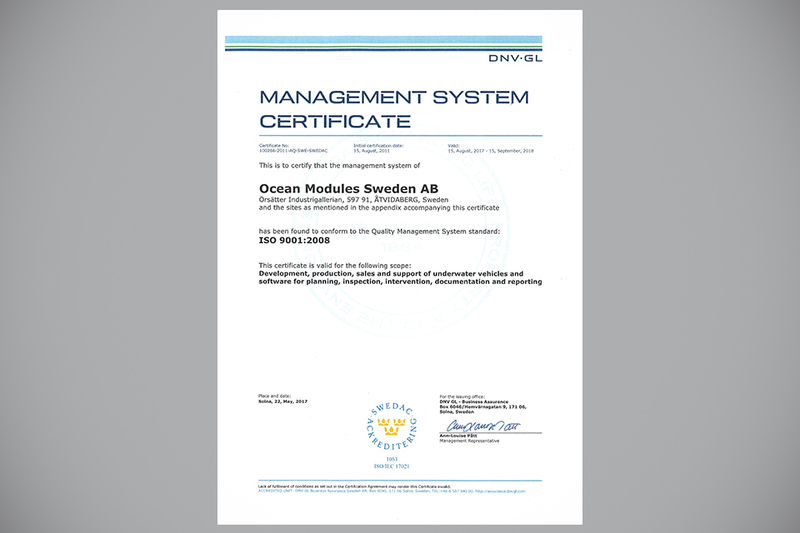 Most of the sub-suppliers who manufacture components for Ocean Modules ROV systems are ISO 14000 certified.